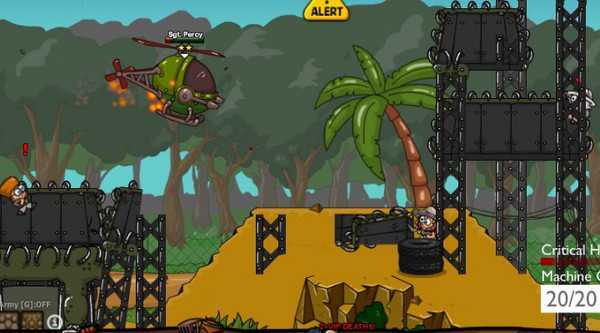 The ultimate 2D Physics War Game - War just got fun, build your army with tanks, guns, spies, flame tanks and helicopters. Then embark on missions of mass destruction and tactical rescues. Bring peace to faction island by destroying all your enemies!Your war starts with just a single rifleman, but soon you'll be rolling into battle with tanks, flame throwers and hover crafts. Fight your way through varying missions on Faction Island, all featuring destructable environments and dynamic gameplay watch as buildings fall down crushing your enemies and rewarding you with massive combos. Expand your army with cash earned from completed missions by buying more heavy weaponry or powerful airstrikes to deliver death from above bringing battles to an indiscriminate finale.Take on timed, solo, stealth and all out warfare missions each requiring a different set of gameplay styles and tactics. Group your units create an army of devastating force as up to five of your troops wreak collective carnage upon the unfortunate enemy. Rockets, bullets, ninja stars and fire are all at your disposal but you'll encounter opposing factions with devastating and insane weaponry of their own. Bombs and bullets alone won't win this war strong tactics and skill will surely prevail.Enjoy City Siege Factions unique physics engine as each level serves as a destruction sandbox environment once you have successfully completed the mission. Why not take your heavy weapons in to earlier levels and go for all-out destruction or try and beat your best time and highest score. 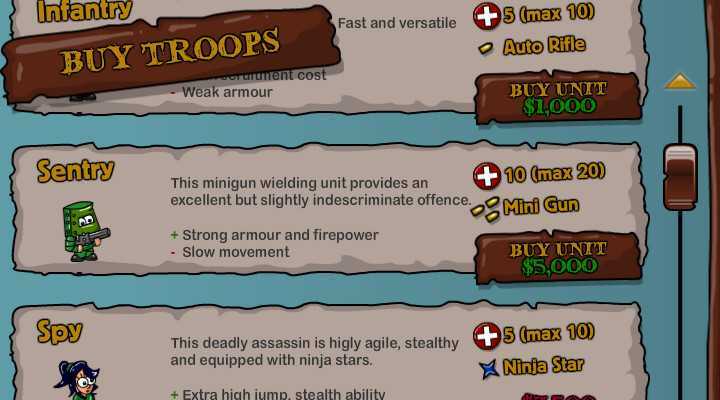 Every time you play a level, your units will level up and you will earn more cash to expand your forces, giving you the edge on later levels.At the start of each level you can choose up to 5 units to deploy, you can switch between deployed units at will and can evacuate them and deploy other units from your reserves, allowing you to play each level your own way. 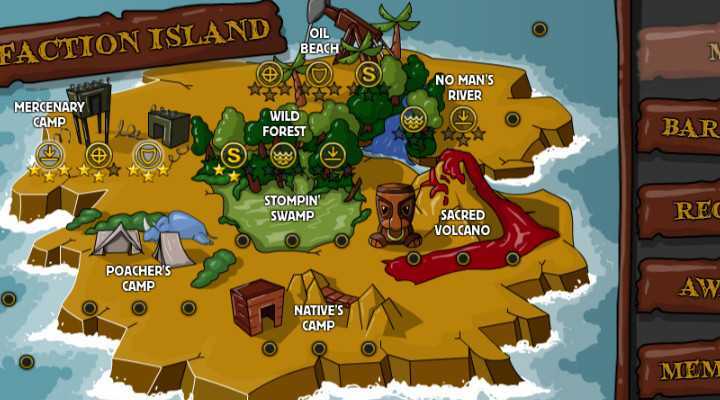 Develop your strategy and take full control of Faction Island.FeaturesDestructive Gameplay.Using the power of physics, every level features destructible scenery and buildings. Set areas on fire, call in air-strikes and generally having fun blowing stuff up - but don't forget there are some real mission objectives to achieve, maybe stealth is the best option from time to time...Combo System.Your combo resets to 1 every time you fire. Take out as many baddies with a single shot to score the most points, taking advantage of the combo multiplier. 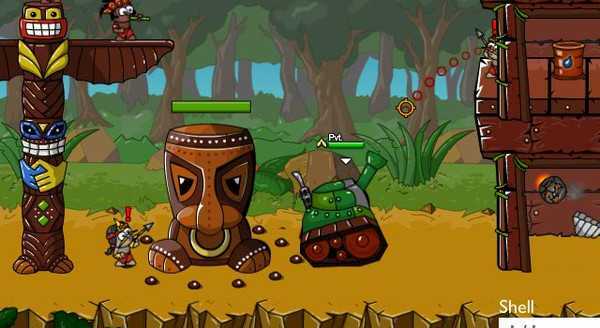 Use the destructible environments to your advantage and get the biggest combo you can.Inter-faction Fighting.You have two enemy factions to contend with, the Natives and the Poachers. Land a shot near an enemy and they will often blame the other faction and start fighting each other. Incite the baddies to fight each other and save yourself the effort, as well as scoring more points and it all counts towards your combo.8 Units to buy and upgrade to build a complete army.RiflemanThe basic unit you start off with. His slow shooting auto-rifle holds 5 bullets before needing to be reloaded. Good movement ability and, as with all foot soldiers, can swing on vines.Molotov GuyHighly explosive and damaging, the Molotov Guy is a danger to everybody on the battlefield - use with caution, will set fire to pretty much everything. On the plus side he does come equipped with fire-retardant armour.SentryHeavily armoured, but slow. Carries a devastating Chain-gun that will make short work of basically anything, although it's accuracy is kinda poor.SpyThe ultimate in stealth. This unit blends in until she gets too close to the enemy or gets seen attacking. Really useful on rescue missions. Her Ninja stars are great for attacking baddies from behind and destroying certain structures, however, they just bounce off barrels so don't expect explosive combos with this one.Flame TankKinda rickety and easily damaged, but it's Flamethrower makes short work of most buildings and bad guys. Set the world on fire.TankThe toughest thing out there, although mobility is a little limited. Also comes with a big, devastating gun firing big, explosive shells for maximum damage.HelicopterThe ultimate in mobility, equipped with a devastating heavy machine gun. Group a few of these up for unrivalled power on the battlefield.HovercraftGlide over swamps, lava and water. Armed with devastating rockets, but a narrow range of attack.8 varying location of Faction Island, each with 3 missions to masterMercenary CampYour part of the island. Protect it from the enemy!Oil BeachSums up why you are here - it's the natural resources! You're drilling on Oil Beach and have a nice pipeline set up. Defend the area from the Natives (who for some reason are not keen on our presence) and the Poachers.No Mans RiverFight along the river, just watch out for those cunning baddies hiding under water.Stompin' SwampThat swamp isn't pleasant to be in, making everything except the Hovercraft slow to move. Luckily there are lots of vines to swing on and get out of it.Sacred VolcanoThis area is sacred to the Natives, they come here to worship their Idols, which of course, must be destroyed.Poacher's CampThis is where the Poachers have set up camp. Drive them out and we can make use of the new space.Native's CampThese Natives are savage and in need of "educating".CoastlineWe need to secure the coast if we are going to completely control the Island and you will need Helicopters and Hovercrafts to do it.Varying Mission TypesSecure the AreaPretty straight-forward. Just go in and destroy everything!DefendYou'll need to defend your base and oil wells.Destroy ObjectivesDestroy the enemy Idols and Cages.Rescue MissionThe Natives and Poachers have kidnapped our Scientists and we need them alive!Solo MissionsTake in a single foot soldier - you might need to rescue some scientists or defend a drill.Sea BattlesHovercraft or Helicopter only naval battle to secure the coast.Replayability and TacticsStruggling with a mission? You maybe just need the right troop or tactics. Replay earlier missions and earn cash to expand your forces, giving you more options.Often a tactical approach to a mission is required. Select the correct units, scroll around and have a good look at the mission before you start. And move slowly, thinking ahead. This is all of course balanced with total destruction missions!Steam FeaturesHigh Scores and Best Times a for every mission. As long as you don't die during the mission you will register a score and time - so on some missions the best tactic for a top score or time is to ignore the mission and just destroy everything as quickly as possible!Achievements. Can you unlock all the steam achievements? Getting 3 stars on every level requires some genuine skill!Cloud Saves. Switch computers and pick up where you left off. The ultimate 2D Physics War Game - War just got fun, build your army with tanks, guns, spies, flame tanks and helicopters. Then embark on battles of mass destruction and tactical rescues. Bring peace to faction island by destroying all your enemies!